Leaders who understand some key aspects of neuroscience will be more effective leaders. 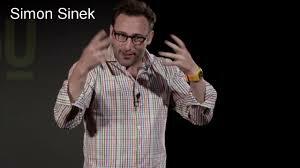 This is the message in Simon Sinek’s book Leaders Eat Last. Selfish hormones — Endorphin and Dopamine help us get things done and achieve more. Selfless hormones — Serotonin and Oxytocin strengthen our social bonds and create meaningful connections and more effective collaboration. Endorphins are pain-masking hormones that help us push ourselves through tough circumstances. We needed endorphins in the Palaeolithic era when out hunting. Enduring harsh climates and rough terrain for hours or days on end to catch a meal, endorphins would mask the pain and allow us to press forward until we caught our prey. Today, we most often get a rush of endorphins from running called a “Runner’s High” that helps us push our bodies through tough workouts. This feeling is actually addictive and that’s why you see so many people who are addicted to working out. In the modern world, effective leaders can obviously provide stretch in their work goals to create a sense of achievement and this endorphin rush. Dopamine is the most dangerous hormone of the four because it is the most satisfying. Alcohol, nicotine, cocaine, and even cell phones send dopamine through our body whenever we use them, which is what makes those things so highly addictive. On a more professional note, even completing tasks, achieving goals, and simply getting things done can give us a rush of dopamine. That’s why crossing items off your to-do list feels so great. If you’ve ever completed a task, realised it wasn’t on your to-do list, added it, then crossed it off, you’ll know this feeling. Dopamine is what produces that irresistible urge to check every notification on your phone. Each time we clear the notification, respond to the text, or read an email it gives us a boost in dopamine. Since dopamine makes us feel great, we instinctively do things that give us a quick dopamine fix without considering the value of those things. Leaders can create a bigger dopamine hit by making goals more tangible. But you may want to consider ways to manage the dopamine addiction by restricting times for sending messages (ie fewer pings on the phone in the evening). It is important to note that endorphin and dopamine provide short term hits that don’t require contributions from others. Serotonin is the hormone produced when we feel valued, respected and admired. It boosts our confidence and makes us feel good. When people see you and respect you as their leader, it boosts your serotonin by making you feel great and it boosts their serotonin because they trust you. However, leaders who get too high on serotonin and don’t follow through on their responsibilities as a leader lose the trust of the group. Once they’ve lost the trust of the group, their serotonin drops and so does their confidence. The more that leaders create a safe environment and give team members a sense of pride and status, the more serotonin they will have surging through their body and the more confident they will feel when taking on challenges. Without trust you’ll have an environment of cynicism and paranoia. Oxytocin is stimulated when we get feelings from emotional bonds. Unlike endorphin and serotonin, it builds slowly. Leaders that sit up in their ivory tower, never to be seen by the group and only communicating through emails don’t form this kind of bond with their team. Effective leaders get out amongst the people to say well done and give people one-on-one time to address their concerns. Being honest helps stimulate oxytocin as does making other people feel heard. And maybe you’ll get fewer team members going off to rival firms! An important rival to oxytocin is cortisol, the stress hormone. Cortisol makes us more selfish and paranoid and restricts our creative thinking. It also reduces our immune system. So if you notice staff getting sick more often, you might needs some actions to enhance levels of serotonin and oxytocin. Traditional male leaders tend to be better at providing the endorphin and dopamine hits. Females tend to be better at delivering the serotonin and oxytocin responses. It seems like the balance between the two styles might be ideal. I spent several years on the faculty of the Nottingham Law School teaching a two-year MBA in Legal Practice. 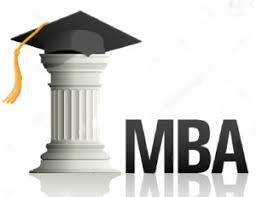 Then I was asked to design an MBA in a day! My consulting colleagues teased me that I hadn’t got it down to 45 minutes by now! Your firm has hired good people – if they give you poor quality work, might it be because of how you delegated it? Prepare by considering what information needs to be given rather than ‘winging it’. Try to avoid delegating by email – a conversation is much better. Ask for a summary at the end to ensure total understanding of what’s required, by when etc – but avoid being patronising. Adapt your style of supervising (Ken Blanchard) given the experience and motivation of the junior and don’t over manage! Consider a less directive approach for experienced juniors by asking them what approach they’re thinking of adopting. We tend to assume that other people are the same as us when it comes to what motivates and demotivates them – this is unlikely to true. So, don’t listen to my Mum (and probably yours!) and treat everyone like you want to be treated! Treat them as they want to be treated! Use your antennae to tune into what motivates your juniors. Expect Mastery and Autonomy (Dan Pink) to be motivating factors, but there may be others. Giving some positive feedback usually goes down well! Invest some time in getting to know your juniors. Having transitioned from a junior to a mid-level or senior, you now should have a role in supporting your partners in managing matters effectively and efficiently. Consider what needs to happen to delight your clients. Consider the needs of your firm, such as managing your firm’s reputation and making an appropriate margin. Consider the needs of your internal team members, such as interesting, challenging and varied work. Try to avoid permanently being in the detail and get into that helicopter to see the big picture. Ask your partners what role you can usefully play. It’s so important to help others learn, so give feedback! You know what works for you: the feedback should be Balanced, Non-judgmental, Specific, Timely. In some situations, it can work well to ask them what they think they did well and what they would do differently. Be clear about your own feedback and ensure you manage the work product. The reputation of your firm is everything so do not tolerate poor quality! Try to be a reflective practitioner. There you are…MBA level material now in fewer than 500 words! Professional firms are finding it difficult to retain their talent. Is there anything they can do to motivate staff? Here’s a look at what we can learn about motivating talented people. Satisfaction theories – a satisfied worker is a more productive worker. Sadly there is little empirical evidence that this is the case. However satisfied workers do tend to stay with their employees longer, so there are benefits to firms in maintaining useful know-how in the firm. The increased performance does not become the new minimum. In law firms that depend on collaboration and teamwork, the second condition above can be difficult to satisfy. Intrinsic theories – someone’s reward is the satisfaction of a worthwhile job. This works best when intelligent people can work independently on challenging problems. It does not work when an individual does not have control over his or her own work. More recently, Charles Handy has developed a new thesis on motivation. He believes that a person will be motivated to achieve a result if he or she perceives that the result will satisfy a need he or she has and that the result is worth the effort required to achieve it. Maslow thought that needs would only motivate to the extent that they were not satisfied and that higher order needs could not motivate until lower order needs were met. Hertzberg claims the hygiene factors address the question “why work here?” and will lead to dissatisfaction if not met (but not satisfaction if they are). The motivating factors help answer the question “why work harder? If they are in place they will lead to satisfaction. The calculation is multiplicative; that is, if any of the three elements is zero the final result is zero (ie no motivation). Individuals belong to several organisations (work, family, social). It is not necessary for one organisation to meet all the person’s needs. If the employer’s and employee’s expectation about efforts and results are not mutual, there are likely to be problems about motivation. When money meets an individual’s needs, it becomes relevant only to make comparisons with other people. Different things motivate different people. Partners, other fee earners and support staff may be motivated by different things. British Airways apparently has a panel of global trend watchers. In my words here is a selection of their predictions for 2019. Machine Vision – In 2019 there will be an estimated 44 billion cameras in the world and much better facial recognition capability. Bad for liberty but good for security and payment systems? Future Proofing – With the growth in Artificial Intelligence (AI), consumers will be increasingly concerned about how it will affect their jobs and lives. There will be opportunities for smart companies to help answer these questions. For example, I’d like to know if there be an ongoing need for blogs like this? Fairer Algorithms – There will be increasing pressure for fewer toxic tweets and less biased and more ethical decisions made by AI. Got to be a good thing. Bolder Branding – More brands will get off the fence on cultural and political issues. P&G and Coke have already done so on the issues of racial inequality and gay marriage, respectively. Personal Well-being – Nestle are already trialing a service using DNA swabs to provide personalised nutrient-rich supplements to maximise an individual’s health. Family sit down meals will be fun! 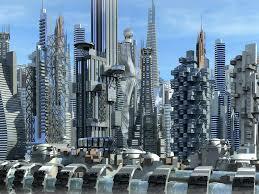 City Slickers – More than 60% of the global population will be living in cities by 2030. This will lead to the need for innovation in many areas such as transport, construction and sustainability. Chinese Brands – Expect to see China exporting more of their successful local brands to western high streets in product lines such as telecoms and white goods. I wonder what Trump is going to say about that! Digital Detoxing – Parents remain concerned about their kids having too much screen time. Expect to see a trend towards reconnecting with the natural world, maybe even some tree hugging? Sustainable Food – After the success of non-dairy milk, a Chilean food tech company is using machine learning to recreate milk and mayo without the moo. Expect mainstream brands to follow. What other trends do you predict for 2019? Do you really need to fly people to attend training events to learn new skills? A good question when clients are baulking at the costs of such events and not clear they are getting value for money. With the development of new technology, is it possible to deliver skills training using video conferencing (VC) software? Well, I’ve done it and it worked better than I thought it would. Here’s how. I started this enquiry from a small position of advantage…I had delivered several live webinars for an international business school with participants on several continents. But I wanted to talk to some more experienced specialists before starting to charge clients for designing and delivering VC programmes. All the experts agreed that VC is easiest to use for knowledge transfer rather than mindset shifts or skills transfer. However, if you can maximise engagement using the right software (Adobe Connect was a favourite of some) and set up virtual teams, using virtual rooms, online team coaching, have post-teaching inputs, online case studies etc, it was thought that you can change attitudes and build skills. To maximise engagement, I decided to complement the ‘lecture’ elements with short video clips using professional actors. These added dramatic inputs and provided examples of how to (and how not to) delegate, give feedback, build rapport, etc. Other devices to stimulate engagement included ‘talking heads’ (ie two people having a conversation to bring out key points), panel discussions, interviews (eg with senior management and clients). To ensure the quality of the VC training was at the highest level, I pre-recorded these videos in a studio near to the main office for convenience. The costs for these videos were small. The extra quality sound and better lighting were worth it. We decided that all the participants would be together in a meeting room in their local office. Pre-reading to introduce initial ideas and encourage reflection. Sponsoring partners to provide on-the-job (OTJ) support for participants to practise the particular skill covered. This was reported on at the start of the next module. The facilitated discussions were important and most firms lack people with such training skills in each office. So a train-the-trainer was offered to get enough people up to speed. The initial VC training was offered to develop Business Development (BD) skills and I ran five modules, roughly one month apart. I delivered the training from each of the five main European offices, with all the other offices on camera. After each BD module there was homework – invariably using and developing one of the BD processes covered in the module. After the first workshop, the participants agreed their priority clients and carried out initial research into relevant sector and company issues. After the second module participants made their approaches to these clients (ie they picked up the phone). One of the benefits of a modular approach is that you can make the most of reflection. Participants were encouraged to keep notes of their thoughts and observations (as an MBA student would do). So I came away from my first experience feeling positive about what can be done using VC software. It worked for BD skills and I can imagine it working for Leadership development programmes. Is VC training as good as getting people together? Probably not. In particular you lose the opportunities for colleagues to network and build trusted relationships. But the cost savings are huge. The VC software didn’t always work perfectly but I guess the glitches will be ironed out pretty quickly. So I’m a convert! Hope this is interesting. I’m keen to hear the experiences of others pioneering in this area. Some firms struggle to negotiate increases in fee rates. 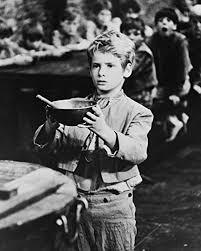 As Oliver Twist demonstrated, it can be hard to ask for more. But with staff getting annual salary increases and with inflation rates starting to go up, it becomes more important to have these conversations and to do them well. Negotiate face to face. You may want to ask for a meeting by email but try to avoid ask for a fee rate increase by email. I appreciate that this can be a challenge for international clients. A phone call might be ok as a last resort, but probably only suitable with a long-term and trusted relationship. Pick a time of least pressure and distraction for you both to have your conversation. Emphasize your value to the client, not what you need to make your life easier. Remind the client of the value added you have provided. Avoid ultimatums. Remember this is a collaboration. Ultimatums can damage your working relationship seriously. Suggest your percentage figure. Allow your client to put questions and challenge. Have your supporting evidence. This might include information about the client’s product price increases. It seems fair that if the client’s prices have gone up, yours do too! Have a list of other requests that might be open for negotiation should fee rate increases not be available or be negotiated down. Follow-up with your requests but be professional at all times. For the long-term success of your relationship, you need to be seen as a trusted advisor. Give it a go! After all, Oliver Twist ended up well! As a coach I meet lots of partners who are admitting to me that they are, frankly, a bit bored! They probably don’t use those words. They might not even recognise the fact themselves. But after some probing questions from me, the reality is all too frequently revealed. And this state of affairs doesn’t surprise me. After all most of the partners are doing the same as what they were doing as a senior associate some 10 or so years ago. Same old points to negotiate. Same old clauses to draft. Same old challenges dealing with the team. It’s all a bit repetitive. Nothing new. There’s an important role for practice group heads in assessing whether your partners are fully motivated and in helping them find stimulating new challenges. Use those partner review conversations well. The other aspect to recognise is that most partners don’t have any kind of career plan. As an associate there was partnership in the dim distance. But now you’re a partner, you’ve arrived and now there’s nothing on the horizon! I really urge law firms to think about this. What career plans can you offer your partners? If you don’t have an offering, you risk mojo loss and the downsides of that might be greater than you first think. A partner wondering around with a demeanour that’s, say, less than the joys of Spring, affects the morale of the whole team. Might that be why you’re losing some talented associates to rival firms? 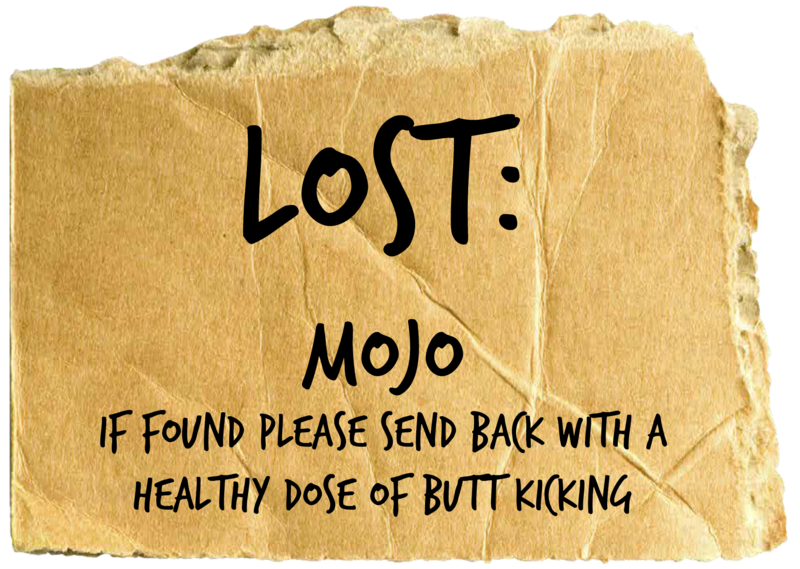 Let’s get their mojos back!